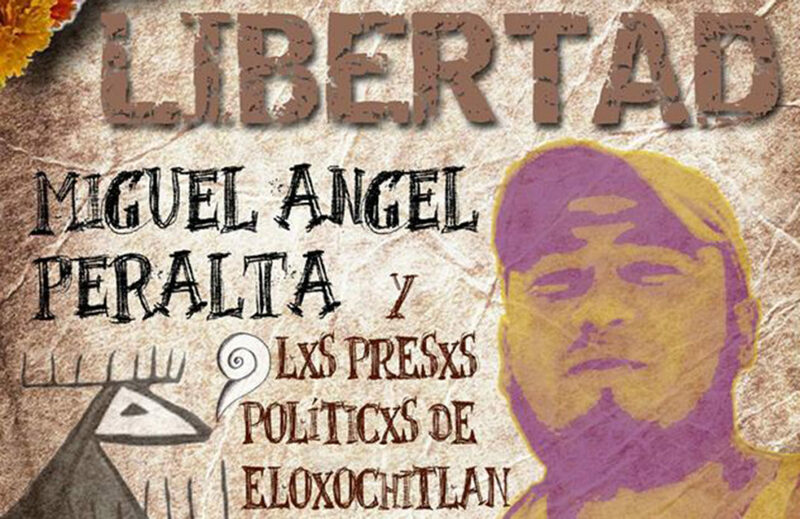 Miguel Peralta Betanzos is a political prisoner from Eloxochitlán de Flores Magón, Oaxaca, locked up since 2015. 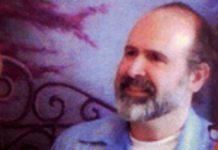 Below is an audio interview in Spanish with Miguel conducted by Voices in Movement. It’s followed by an English translation of the transcription, done in part by a comrade from Chicago, and then the Spanish transcription of the interview. 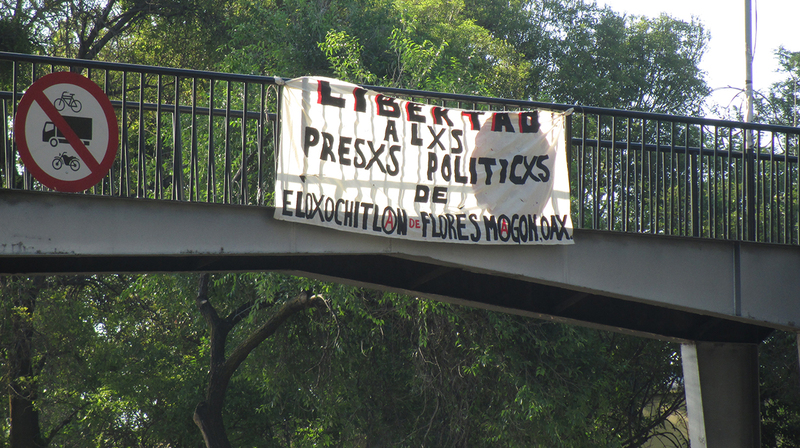 In the interview, Miguel discusses the struggles of the community of Eloxochitlán, his case and that of other political prisoners from the community, his thoughts on the intersection of anarchist and indigenous movements, and the role of international solidarity in supporting imprisoned comrades. More information about Miguel and Eloxochitlán de Flores Magón can be found in a pamphlet available in IGD’s library. Voices in Movement: Good afternoon, good evening everyone, we’re here with compañero Miguel Peralta, political prisoner from Oaxaca, Mexico, and we are going to be talking with him about the legal process that he is going through, about his perspective on the different struggles taking place in Oaxaca and Mexico, and about the relationship between the anarchist and indigenous movements, and finally we will talk about international solidarity for these movements and struggles and possible forms in which we could support his case. Hello Miguel, thank you for being here with us today. Miguel: Hi, good evening or good morning to all the compas that are listening. Let’s start. Can you tell us a bit about yourself? Who are you, where are you from, where you are right now and any other things that you would like to tell the compas that will listen to this interview? Well, my full name is Miguel Ángel Peralta Betanzos, I belong to the community of Eloxochitlán de Flores Magón, which in turn belongs to the Mazateco indigenous group which is located in the northeastern region of the state of Oaxaca. In my community and in the Mazateca region we speak the Mazateca language. I studied a bit of anthropology, and since I was young I liked to be sociable, have friends and compas from other places and from my town as well. I like to know the land, walk around in the community, walk around the sidewalks. I like music, different rhythms and food, the gastronomy of the community and of other places. I like to read, and of course, I like sports, to play, to play basketball and soccer a little bit. I like to swim, to go to the river, touch the water, feel the rain, walk under the rain. I’ve liked for my feet to touch everything since I was young. I like the traditional festivities of my town, the celebration of the dead, where we can best celebrate and share in community, in community with our compas and our families in our town. I like to remember our dead as well, which include my grandparents, my aunts and uncles, who were alive and have left their marks on our consciousness. 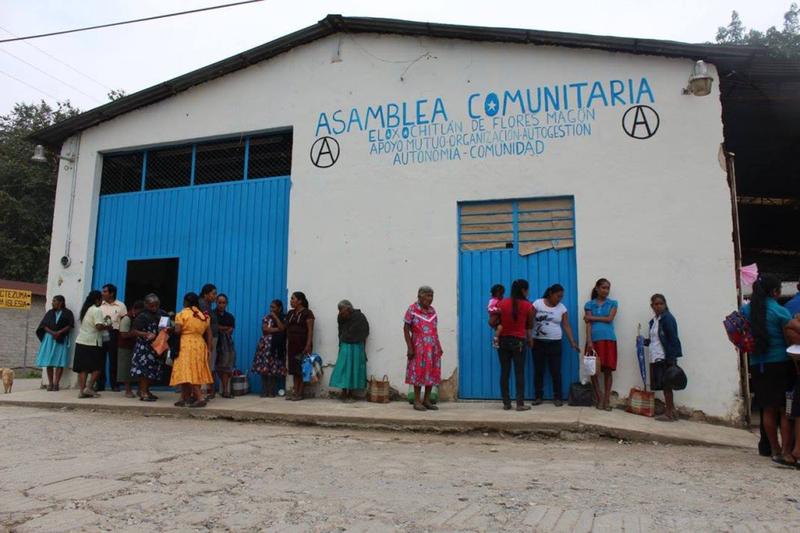 I am a member of the Community Assembly, which is the entity where some of the collective activities are planned, like the tequio or faena [community work projects], which is part of the everyday mutual aid work of the community. We have participated in various struggles, inside of the community and outside of it as well, like in 2006, when we participated in the revolts in Oaxaca. Can you talk about some of the struggles of your town, Eloxochitlán de Flores Magón? During the coffee boom in the 70s, 80s, and 90s there was an increase in the rule of the cacique. Basically, the cacique was the person that ruled and imposed their will through power, money, and also armed individuals. The direction the community was going to take was decided by this person and this person also handed out collective and municipal jobs. 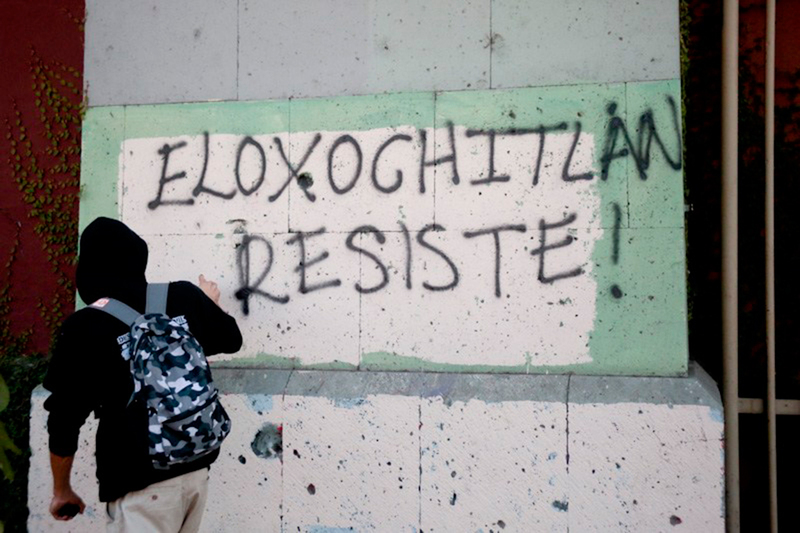 Well then, by way of the democratically organized teachers and conscientized peasants, a struggle against caciquismo began during these times and by the 90s, in 1996, an Indigenous Congress was held in Eloxochitlán. At this congress, topics of identity and autonomy were discussed. This congress took place just as the Zapatista struggle was developing. Various neighboring towns attended to share their experiences of struggle. In 1997, there was a series of activities that took place, beginning with a march to Mexico City that lasted around five days and, I don’t know, around 400 people participated. The march was to commemorate the assassination of Ricardo Flores Magón in a U.S. prison and to kick off what they called the Year of Ricardo Flores Magón. And during this year, they organized several talks about gender, about feminism, about paramilitarization, about self-defense, of course, and they had rock and punk shows in the community, as well as Mazateca traditional music. There were also workshops on traditional medicine, films screenings, and workshops about the land, crops, and GMOs. This took place in 1997. Around the year 2001, a community radio was built which served as a bridge in the struggle for self-determination. In addition, a fanzine, La Voz de N’guixo, was created and this helped raise awareness about the defense of natural resources and, in turn, a struggle against the political parties. After that, a council was created, which they called the Indigenous Council, and, well, I think this is the context from which the struggle against the political parties and in defense of our land has arisen. Before we keep going, can you explain the politics of your town in Oaxaca? In particular the system of uso y constumbres [indigenous practices of self-governance]? In the state of Oaxaca, there are around 500 municipalities, the majority of them are indigenous and are divided in eight regions. This is very distinctive of Oaxaca, because the majority speak an indigenous language, but additionally for a long time now these municipalities are governed by a system that is called usos y costumbres. More than 50% of these municipalities are governed by this system. Now, a few years ago, approximately five years ago, this system of usos y costumbres was modified and its name changed to “normative internal system”. This supposedly means that municipalities have autonomy in how they are governed and how they elect their authorities, be it municipal authorities or any of the local positions. But the state government in Oaxaca has the ability to interfere, because at the end you find, well, the municipalities that are governed by usos y costumbres are elected through an assembly. But when they’ve elected their representatives, they send the documents to the state offices of the Normative Internal System. It is there that the representatives are approved by the government. But the voice of these representatives comes from the community assemblies and they give their word to the assemblies. 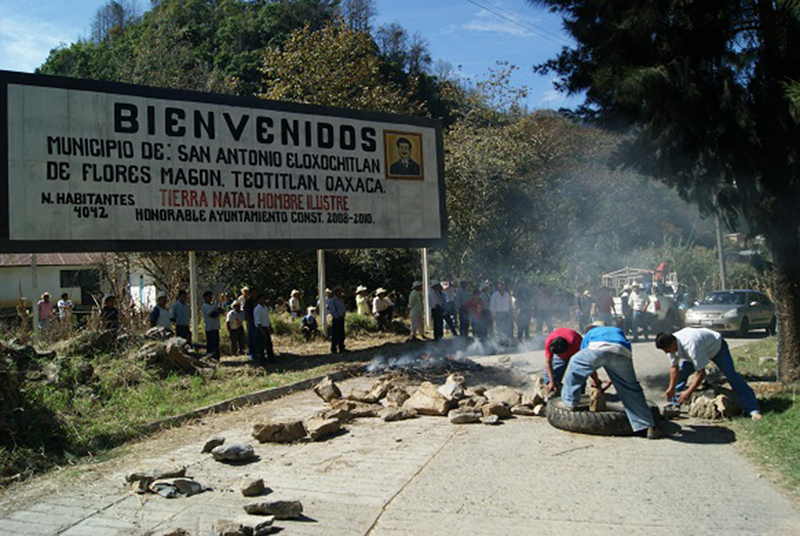 Blockade at the entrance to Eloxochitlán. Let’s continue with the historical context of the struggle and the organizing in your town. After the year 2000, our community was supposed to be governed by usos y constumbres, without political parties. More or less after 2006, after the struggle in Oaxaca, there was a tendency in the community trying to introduce political parties, but more than that, it was more overt, more shameless. The PRI started it, since they have a lot of people there, but needless to say, also the PAN and the PRD came in. But other parties like Convergencia also came in. It seems this took place from around 2009 to 2011. And in 2011, elections took place like they were being run by political parties. A person named Manuel Zepeda Cortés ran an electoral campaign, making speeches, as well as giving out money so that people voted for him. This was something that had never been seen before in the history of our community. Elections in the community are called for using the conch shell, setting a date, and then the people of the community come into town so they can elect their traditional authorities. In this case it was not like that, two groups were created and Zepeda Cortés ordered orange shirts and dressed his people in them. It was there that this trend of political parties began, as well as the struggle against political parties, but in a more direct manner, more head-on, because Zepeda Cortés was not going to be allowed to come in and enter city hall [as mayor]. So, the town hall was closed down by the people in 2011 and this led him to bring in the state police. In fact, the army also entered our community in February 2011 under the pretense of searching for weapons and drugs. 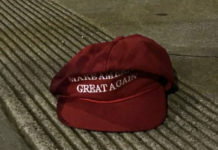 But we knew beforehand they were coming, and what they did was open up city hall for this person. And clashes happened throughout the three-year term of this person. In fact, his entire term was illegal because the court threw out the results of the election because the community did not agree to be governed by him. And he governed in a fashion similar to a dictator because he used the police and repression on various occasions. He went so far as to bring in armed individuals to instill fear in the community. In fact, a paramilitary group was formed in the community which would attack people that were against him. 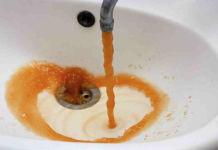 Another thing that this person did was to expropriate water for his ponds and to buy land to extract rocks and sand. He had a crusher and sold this material to companies that built highways and buildings. There were a lot of people who were not happy with this situation and started to protest because he was taking water from others. 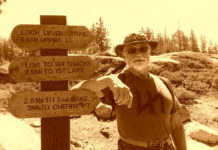 But by then he already had a paramilitary group, the support of the state police and the army, and he would call them when anything happened. Later, in 2012, they detained and tortured compañero Pedro Peralta. He was imprisoned for three years in Cuicatlán as well, and a struggle to free political prisoners began. During this time period, compañeros Jaime Betanzos and Alfredo Bolaños were also imprisoned. After beginning the struggle against political parties, the community started to unite. And in 2014, new authorities were elected, in a more collective, more traditional manner. But it did not last long, it lasted around eight months and an attack was launched against the community authorities. This happened because in the previous administration, Zepeda Cortés not only acted like a dictator, he also stole, enriched himself illegally, stole all the community’s money, and began to build houses and buy cars, land, and much more. Foreign bank accounts and all that. And the state auditor required the mayor, who at the time was Alfredo Bolaños, to summon Manuel Zepeda Cortés so he could explain the 21 million pesos that were unaccounted for during his tenure. That is what caused the conflict which we are involved in right now. In 2014, Zepeda Cortés planned clashes with the goal of avoiding handing over this information. He took over city hall and started the violence. The town organized to defend their collective rights and that is why we are imprisoned right now. Armed group led by Manuel Zepeda Cortés taking over city hall on November 17, 2014. The state auditor summoned Manuel Zepeda Cortés, but he did not want to go. So on in November 17, 2014 at around 12pm, together with approximately 80 people, they took over the city hall and kidnapped the community’s authorities. They held them for about eight hours. The people began to organize to rescue the people locked in city hall. They were beaten, the kidnappers were beating them and they forced the mayor to sign a resignation letter, which was not possible because the community elected him, and unless that document was issued by the Oaxaca state congress, he cannot resign. After that there was a very hostile environment, an even more violent environment than before, because the group that supported Zepeda Cortés was patrolling all the time, going around the community armed and instilling fear. On December 14, there was a call for an assembly in the community of Eloxochitlán to elect a community representative as mayor of the municipality who would be in charge of managing the land. This had be an adult who has knowledge about the community’s lands if someone wants to sell or transfer them, and also to keep watch over the community’s communal spaces and territory. 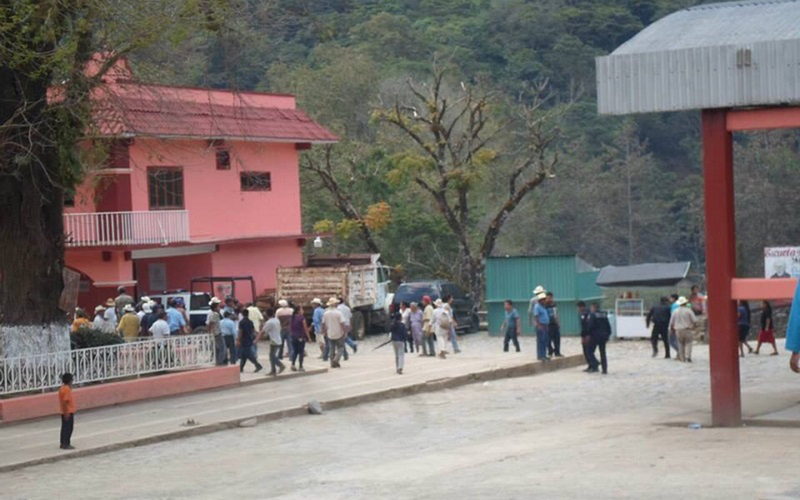 That day the community assembly met in the center of town and a clash took place because Manuel Zepeda Cortés also called for this assembly, but this call was to attack, to attack the compañerxs of the community assembly. That day I was in Mexico City because I tasked with buying toys for the kids for January 6, 2015 [Three Kings’ Day]. I found out the clashes started at 11am. The compañerxs organized a march to city hall, where the assembly was going to take place, and that’s where they were shot at. A clash started between the compañerxs and some were wounded by bullets. 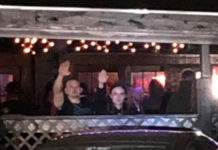 There was a second clash at Manuel Zepeda Cortés’ house and a person was detained there, whose name is Manuel Zepeda Lagunas, who Zepeda Cortés’ son. He was detained with a gun and taken to Huautla because that’s where the prosecutor’s office is. The municipal authorities – the community representatives – they took him there and turned him over to the state police. 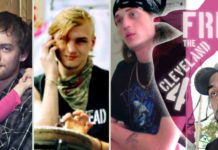 After this attack, there was a tense climate in the community because it wasn’t known what would happen when he was brought to the prosecutors. Other compañerxs took our wounded compas to the hospital, some with bullet wounds in their necks, heads, and hands. They took them to the hospital to get taken care of, but after 8pm they began to detain the compañeros. Among those detained was the acting mayor of the municipality, Alfredo Bolaños Pacheco, and the municipal police that were with him and that handed over Zepeda Lagunas. Then they detained Jaime Betanzos while he was waiting for a ride back to our community. The ministerial police detained him at an intersection in Huautla, close to Azteca Bank, and they took him to the city of Oaxaca. The rest of the compañeros were arrested together, around seven compañeros, and they have been charged with homicide after they handed over this person who was alive. From that point, they started the hunting of members of the assembly, many people in the community were displaced, a lot of people left out of fear of repression. 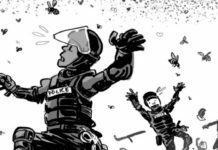 In fact, the state police sent in a detachment, the federal police also arrived on December 15, and the only thing one breathed was fear. After that, the assembly began to fall apart, to break up, and the struggle for the prisoners has been really divergent, very vague, really separated from being a point of organization, due to the fear that was instilled and that they were also able to instill through the media: through the police and repression and through apathy and displacement. A lot of families were displaced and went to other cities and communities. Entire families had to leave and because of that we have not been able to organize. Many live in fear, they just say that those who organize end up in jail, and that’s the crux of the matter. The fear comes from that, one mentions jail and they’re afraid of ending up in this place: jail. It is always a little complicated having a family member imprisoned, because there are expenses, for a variety of reasons. In the end it is really difficult to start organizing again. Many of the compañerxs look for harmony and community as well, the community of their family, and they don’t go into that which is communal, that which is the struggle. That’s what has happened in our community. A lot of fear has been sown through the media and through repression. That has been a reason for our lack of progress in the struggle for the compañeros who are political prisoners, as well as for the freedom and self-determination of our community. To return to organizing ourselves against this imposition that continues to instill fear through people that claim to be human rights defenders who demand protective measures and the government gives them this “cover” to continue ruling through repression. That is where we are right now. We are trying to re-organize, at least so we can be free through the various struggles we have inside the prisons, be it the work we do, fasting, hunger strikes that we carry out when we are put in isolation. 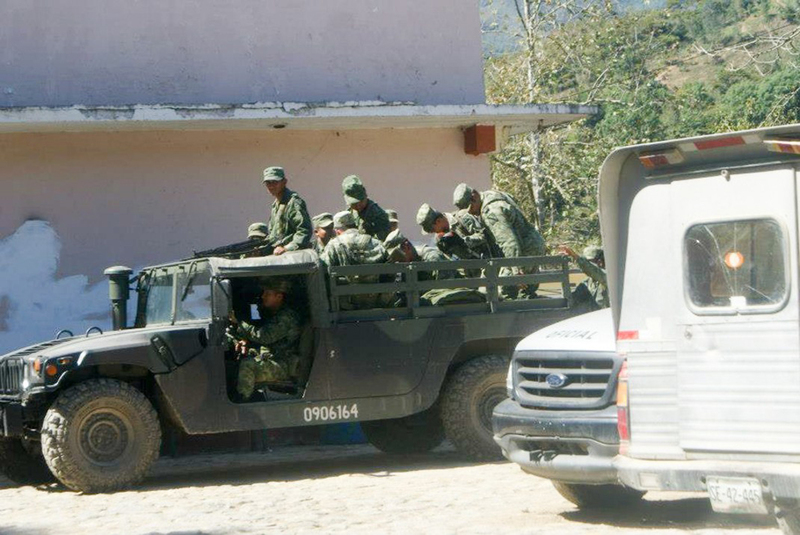 An army incursion into Eloxochitlán. Do you want to tell us the details of your arrest? Well, I was arrested on April 30, 2015. At that time, I was working in the Tepito neighborhood of Mexico City. Plainclothes cops came into the place where I was working with my brother. They didn’t identify themselves. They started to attack us, they never identified themselves and didn’t have a warrant, and we resisted arrest for a while. More and more cops arrived, and they managed to get us at gunpoint and with tear gas. They took me to the Federal District’s District Attorney’s office in a private car and gave me a medical examination, showed me to the media, and took some general photos of me. Then they gave me over to the Ministerial Police of Oaxaca. Those officers took me to a prison called Tlaxiaco, in the Mixtec region of Oaxaca, about 400 or 500 km away from my home. That’s what my arrest was like. Right now… Well, I was only in Tlaxiaco for a month because my lawyers and I requested transfer to a prison closer to my home, as is my right. I’m now in a place called San Juan Bautista Cuicatlán, in the Oaxacan region of Cañada, four hours from my home. That’s where I am. I’ve been in this prison for (more than) two years and eight months. How are things with your case right now? Well actually, it’s been an irregular process, there hasn’t been due process under the law, since the whole case is so political. In fact, right now seven compañeros from my community are incarcerated. Some are in the Ixcotel prison (in the center of Oaxaca), one is in Etla and I’m here in Cuicatlán. They’ve been delaying the trials the whole time. For example, we’ve asked to question the victims or the people who accused us, and they have taken a long time to show up. And actually, there are still two people (who haven’t testified), even though it’s been more than two years, they haven’t shown up to testify. Only the state and ministerial police (have) because it’s their job. (We) applied a lot of pressure to get them to go and testify. For example, I filed an injunction more than two years ago and the ruling only came in December and they rejected (the injunction). The question of process in the Mixed Jurisdiction Court of Huautla, they’ve acted all “huaje”, there’s no impartial justice; the court has received money. They’ve switched judges multiple times during our trial and they’ve ignored our demands, which have been legal and within our rights. I think that if there were really justice and impartiality, we would be free, because there’s no direct evidence establishing the commission of the alleged crime we committed or what they’re charging us with. You’ve told us about your people’s struggle and your case, but for outsiders, could you give us a broader picture of Mexico’s social struggles, where you see examples of struggles that inspire you, and what you think are the needs of this diverse range of struggles in Mexico… and one thing that interests me a lot, if you can speak on it: you’re from an indigenous group from the Sierra Mazateca in Oaxaca, but you’ve also been influenced by anarchist and liberatory practices and thought. Could you share the relationship you see between anarchist and indigenous movements and struggles? I think that social struggles in Mexico are very diverse. 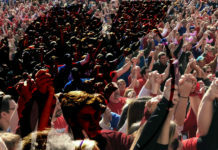 There’s an endless number of movements, both urban ones focused on defense or self-defense of their own territory or on organizing to take back public spaces, like in the neighborhood assemblies in Mexico City. For example, in the wake of the earthquake, there are lots of people who are reorganizing to have a roof over their head and to be able to fight against mega-projects. In rural areas, in the indigenous movement and movements that are outside cities, they’re fighting against the same monster that is capitalism, and against mega-projects. The issue of mining deals with natural resources in general. Water is involved, and even medicinal plants that some foreign companies (Japanese, gringo, Canadian, Spanish, and French) try to monopolize or patent in order to market them and sell the medication and make us dependent on their medicines and make us consume them. But we know there’s traditional medicine in villages. There are struggles for land, self-determination, and autonomy. There are actually a lot of differences within the indigenous movement, because some groups are dealing with the issue of not cooperating with political parties, others are struggling to defend their land without being fully aware that the political parties are there, and others are thinking about autonomy itself without having any relationship to the state. So, you were asking about what relationship there is between indigenous movements and liberatory and anarchist ones. 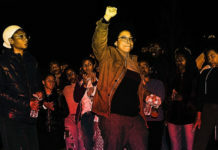 I think they share some basic principles within liberatory thought and some liberatory thinkers have had an influence on indigenous struggles, like in self-management, autonomy, defense of the land, expropriation of their resources and spaces, self-determination, and all these struggles are against the same enemy: capitalism since its beginnings. There are also ruptures within these struggles. There’s a very intense rupture around the issue of electoral politics in Mexico; there are movements or one part of the indigenous movement that’s interested in what they call “good government,” and another part that’s not, that’s interested in autonomy without any focus on electoral politics or on taking power nationally. 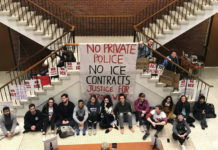 Each one is struggling from its position and spaces, and I think there are some movements and communities that have their own methods of community defense that they use. That might be related to the liberatory movement, a struggle for their very being, from the community or individuals. 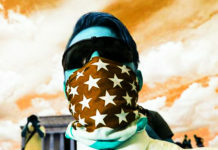 For example, there are communities that are fighting not only against mega-projects; some are fighting against identity itself, or for their own identity, for their language, maize, their worldview, form of dress, and against food and GMOs, and I think that’s also part of the indigenous movement and the liberatory movement. We’re trying to fight to be ourselves, to be free. When it comes down to it, the two sides are seeking a common good. Maybe we idealize this notion of the common good, that self-management is necessary in communities and in the liberatory movement. There are also compas in the northern mountains of Puebla, the Totonac and the Nahua who are struggling against Chinese and Canadian companies that are taking the water and minerals from these places and their people. There’s also a tradition of natural and traditional medicine. They’re fighting for a fair market where they can sell the products they produce. These are the struggles that are inspiring us right now. For the compas listening to this interview, how can they or we support you in the legal process you and other incarcerated compañeros from Eloxochitlán de Flores Magón are going through? Also, could you talk about what international solidarity means for you and how we can cultivate this solidarity? For example, those of us who are locked up, if people call the court or send letters, it creates pressure and brings us into another dimension of the struggle. Important questions come up such as comradeship and following a case, and it also brings about friendship between compañerxs who are sharing letters and calls. We can listen to each other through the different methods we have available. In our case this is important because you all can talk about our cases elsewhere and bring our voices and our small struggles to other places. 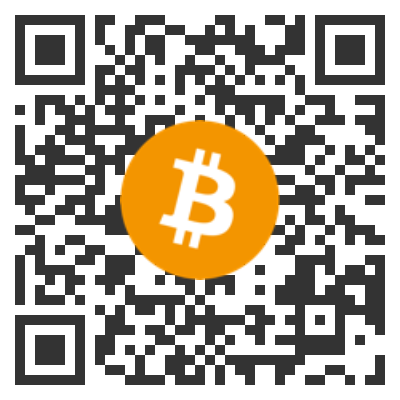 Another thing would be to help us sell our products. For example, I make hammocks and bags, and one thing would be to support us financially to help with our legal process, to help our families be able to come visit us and bring food to the prison, because it’s hard to get certain things here and they have to be brought in from outside. That’s why the international attention and solidarity with compañerxs are important to me. They may be people we don’t know, but we have things in common that bring us together in these struggles. Another thing I think is important to mention is the issue of international solidarity reaching compañerxs in other places around the globe and having them be aware of what we’re going through while we’re locked up, requesting their support through writing letters, making phone calls, or if there’s some kind of repression, being aware of these situations that come up during the process and during our struggle in isolation. Is there anything else you’d like to share with the compas listening to this interview? I want to thank the compañerxs who are listening and who are part of the struggle and are in solidarity with imprisoned compañerxs around the world, or with struggles for liberation or the struggles of people fighting for self-determination, fighting to be free. I also wanted to thank Los Otros Abogadoz, who are the compañerxs taking on my case and who have contributed their efforts and their solidarity to move forward with this process and break free from the yoke of the law and injustice and walk towards freedom. With the efforts of these compañerxs, we’ve been walking slowly but opening up space with their solidarity, their effort, and especially their work. We owe so much to them. Also, I’d like to ask for your support for another small struggle. As I was saying, we have many ways of organizing ourselves and fighting from prison. We have some products to sell, and you all can help us by buying things like the hammocks and bags that I make here to pass the time and not get bored, but also in order to have a little money for immediate expenses like my defense and lawyers, to send out documents, so that our families can come visit us, and for food and basic needs for those of us in isolation. 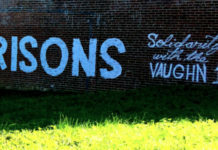 Sending hugs and strength, and I hope you all are doing well in your struggles… let’s tear down the prison walls! This is an expression to indicate indifference. To be “huaje” is to act like nothing’s happening, or to act indifferent despite knowing or seeing that something is wrong. Miguel after a court hearing earlier this year. Bueno pues, de hecho, llevamos un proceso irregular, no se ha llevado un debido proceso conforme a derecho, como es una posición política todo el caso. 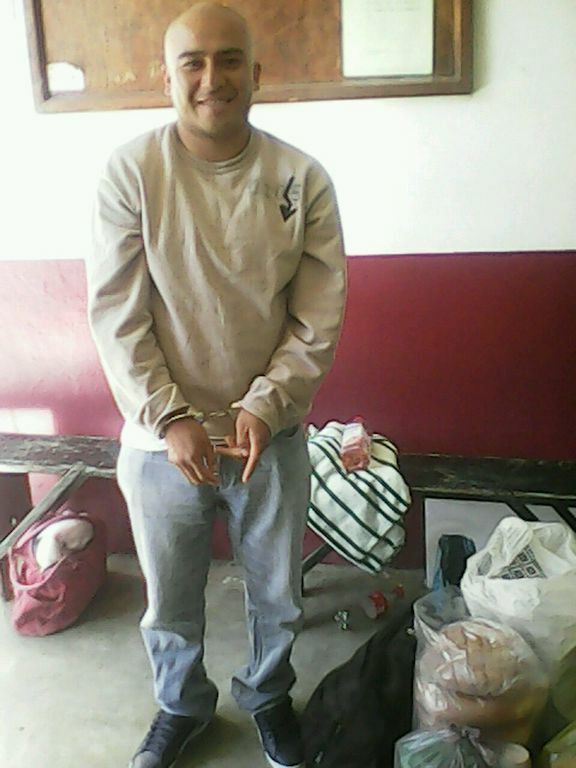 De hecho, ahorita estamos presos 7 compañeros de mi comunidad, unos están en el penal de Ixcotel (centro de Oaxaca), otro compañero está en Etla y yo que estoy aquí en Cuicatlan. En todo momento se han retrasado las audiencias, por ejemplo, hemos solicitado interrogatorios y los ofendidos o las personas que nos señalan tardaron mucho en presentarse. De hecho, faltan dos personas (por declarar), a pesar de que llevamos más de 2 años, no se han presentado a declarar. Solamente los policías estatales y ministeriales (lo hicieron) porque es su obligación, (nosotros) estuvimos insistiendo demasiado para que fueran a dar su parte informativa. Por ejemplo, en un amparo que promoví, llevo más de dos años y apenas en diciembre salió la resolución y la negaron (el amparo). La cuestión del proceso en el Juzgado Mixto de Huautla, se han hecho “huajes”, no hay una impartición de justicia imparcial (ellos, los del juzgado) han recibido dinero. Los jueces han sido cambiados muchas veces durante nuestro proceso y han hecho caso omiso a nuestras demandas, que son cuestiones de derecho y legales, que (yo pienso-creo) que si en realidad hubiera justicia e imparcialidad, tendríamos que estar libres, porque no hay un señalamiento directo que determine la conducta del supuesto crimen que nosotros cometimos o del delito que nos imputan. Esta es una expresión para señalar indiferencia. Hacerse Huaje es hacer de cuenta que no pasa nada, es decir es mostrarse indiferente a pesar de saber o ver que algo está mal.